Looking for a vintage type of sound? Look no further than our Arrow model. This model starts at 7.5kohm DC resistance in the bridge position and 6.5kohm DC resistance in the neck. Alnico 2 is the default magnet, but can be customized to your liking. Note: 9 string/multiscale orders and orders with covers will require additional correspondence. 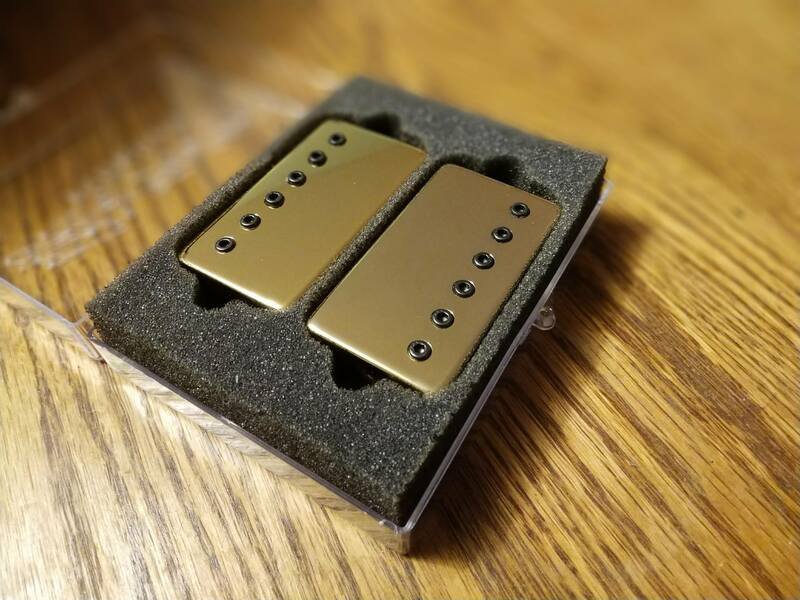 Fully custom covered 7 or 8 string humbucker for your soapbar routed guitar! 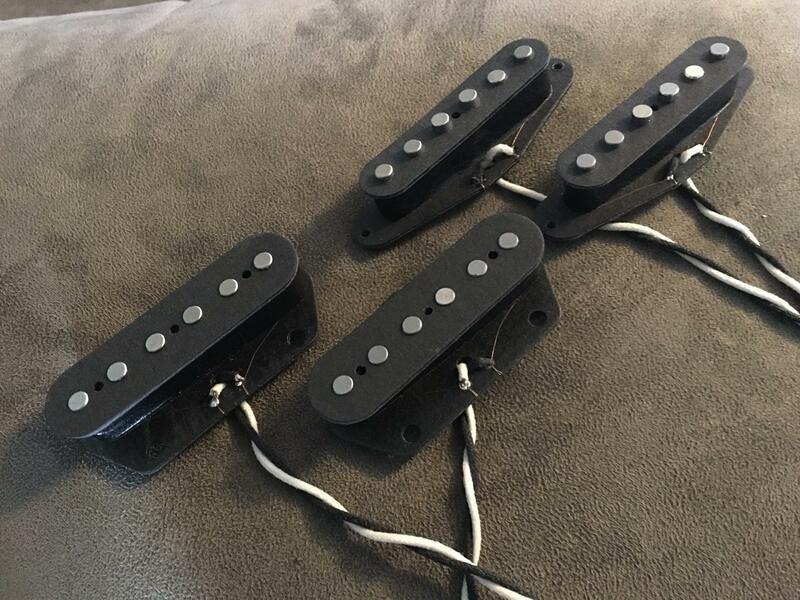 Are you're looking for a 7 or 8 string passive humbucker to fit in your active pickup route? Look no further! 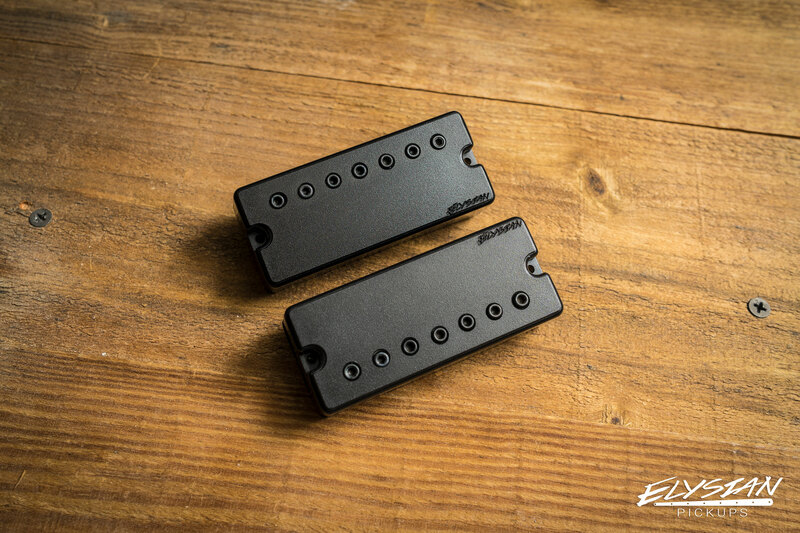 We custom cut the soapbar housing to fit the humbucking pickup, which is wound to your needs. 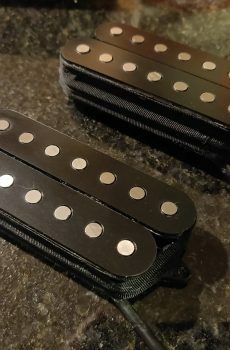 These pickups will fit any standard sized soapbar route. 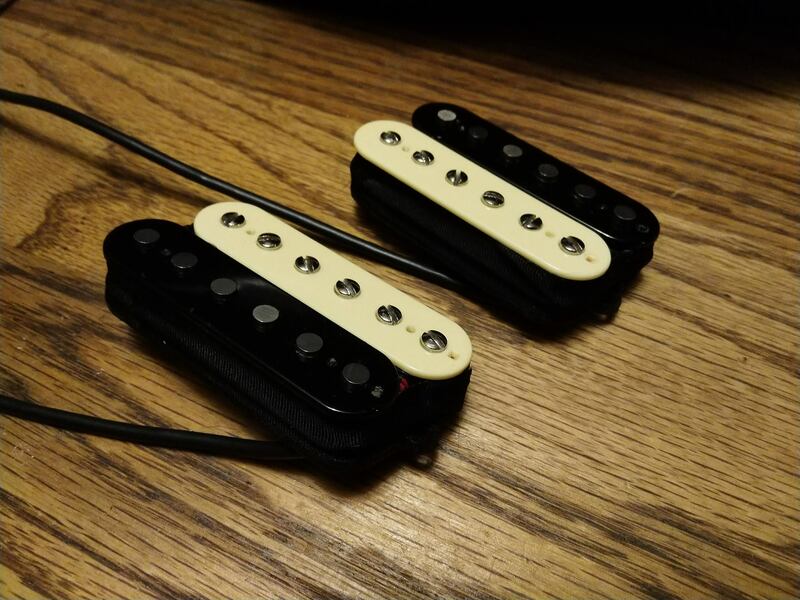 We can make all of our models in a single coil format, whether you're complimenting humbuckers or ordering a full set. The Javelin is a hot-rodded PAF style pickup. It features extra high end and more power compared to the Arrow wind. 10k-12k ohm resistance, default configuration is Alnico V bar magnet.